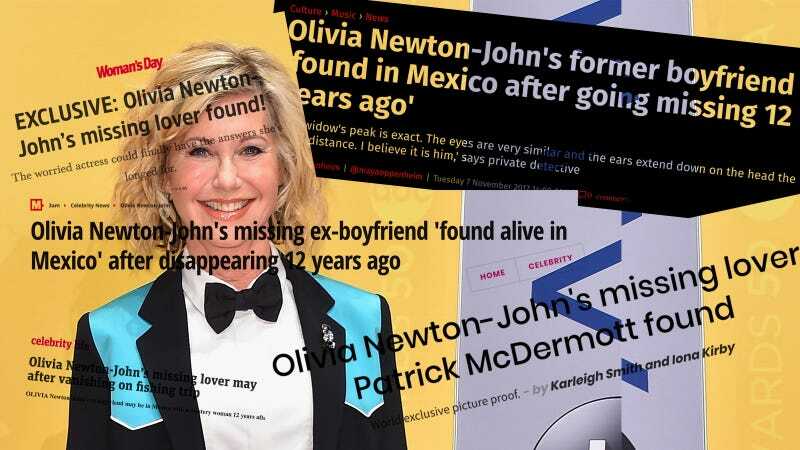 In what has become a sort of annual tradition, a new private detective has alleged that Patrick McDermott, the ex-boyfriend of Australian icon Olivia Newton-John, faked his death in 2005 and is now living in Mexico. If all of this sounds familiar, it’s because we’ve been here before. Investigators Philip Klein and John Nazarian were on the case long before Parker, and New Idea grabbed the torch from another Australian publication, Woman’s Day, who broke its own version of this news in 2016. “I live on,” she told them. Which is funny, because I could have sworn McDermott said the same thing.